When it comes to financing equipment for your company, many business owners think chasing the lowest interest rate is the best solution. While the lowest rate may seem like the best financial option, the time and paperwork involved with these rates may be hurting your bottom line in the long run. If you’re hoping to save time and money when building your capital, here’s why you should think twice about choosing the lowest rate to finance your company’s assets. When you go to the bank to finance the equipment your company is hoping to acquire, they will often offer the lowest rate. While it’s great to pay less, these low rates come at the cost of a long approval process. Although you will eventually save a few dollars on your rate, the amount of time the bank takes to complete your approval for the loan is a lot of time lost for your company. The paperwork required to get a loan with the bank can add to this process’ timeline. Banks often require a full financial package for approval, which entails two years of business and personal tax returns, a Personal Financial statement, a current interim Profit/Loss statement and a Balance Sheet. Brewery Finance can process a loan up to $150,000 with a simple one page credit application and three months of business bank statements. If your company is investing in equipment or any other type of financing, it’s probably because you need more resources to grow your business. If you have to wait an extra month for your financing to be approved, that’s time you aren’t generating revenue. While you may be paying less for the financing, if you have to wait longer to actually use those assets to fuel your business, you’re losing a big opportunity to generate return on investment. Consider this scenario: The bank offers you a six percent commercial rate. Brewery Finance offers a rate at nine percent. The bank takes three to four weeks to approve the loan, BF takes one to two days to approve the loan. The bank’s loan took three to four weeks to finance, and you couldn’t start using your new equipment until the end of the month. BF’s loan took two days to finance and you could start using your new asset at just a few days after applying for the loan. That means you have at least three additional weeks to generate revenue with BF’s financing process. When it comes to financing rates for equipment, many people go straight for the lowest rate. The variable among these rate prices, however, are often smaller than you may think. The average difference between these types of loans is just a few percentage points. At this small of a difference in price, the amount you’re saving in the price of your rate quickly adds up in the amount of time you lose to generate revenue for your business while you are waiting for your loan to be approved. 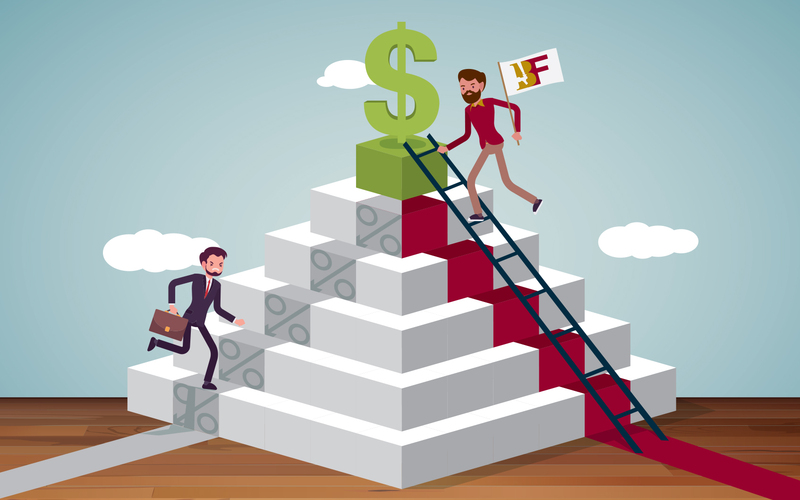 At Brewery Finance, we believe in building quick and profitable financing sources for business owners, so you can get to work and build your business. To learn more about financing with Brewery Finance, subscribe to our newsletter for the latest updates!